F650 Funduro (U.K.)1994-1996. BMW F650 1994-2000. F650 (U.S. and U.K.)1997-2000. F650 ST (U.S.)1997. This hands-on experience combined with extensive research results in a manual that is both user-friendly and detailed. 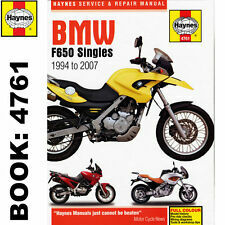 NEW Haynes Manual For BMW F650 All Models 1994-2007 Manual Haynes BMW F650 All Models 94-07. Specification & Technical Data Each. F650 Funduro 652cc 94 - 00. F650GS Dakar 652cc 01 - 07. 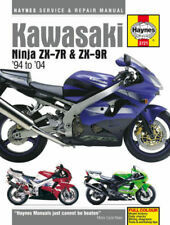 Haynes Manuals produce a wide range of informative, practical manuals and books suitable for novices and experts alike. These books principally focus upon the construction, maintenance and repair of automotive vehicles, covering a variety of makes, models and years. F650 Singles. Complete coverage for your BMW F650 Singles (1994 - 2007). F650 Funduro 652cc 1994 - 2000. With a Haynes Manual, you can do it yourself, from simple maintenance to full repairs. Every Manual is based on a complete stripdown of the car. 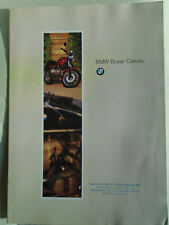 A rare original BMW Boxer Classic motorcycle brochure dated Sep 1994 with German text. Brochure is 16pp illus in colour and is in very good condition with creasing to lower right corner of pages. Book Number: 4761. F650 Singles. Complete coverage for your BMW F650 Singles (1994 - 2007). F650 Funduro 652cc 1994 - 2000. With a Haynes Manual, you can do it yourself, from simple maintenance to full repairs. 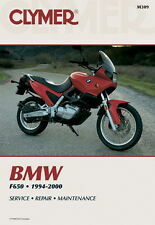 NICELY ILLUSTRATED, 16 PAGE FULL COLOUR SALES FOLDER SPECIFIC TO THE BMW F650 FROM 1994. @30cms x 10cms. INTERESTING AND NICELY DONE. VERY GOOD CONDITION. I am UNABLE to accept fund transfers direct to my Bank Account. A set of five brochures for the 1994 BMW motorcycle range. 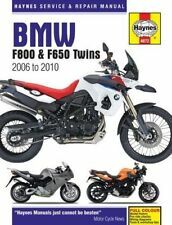 Includes a range brochure /folder and separate brochures for the Enduro, Tourers, Standard Models and Sports Tourers. All brochures sent in hardback envelopes. This is a used Booklet but does have the useful service details etc. F650S / F650ST. HAYNES PART NUMBER: 4761. I couldn't live without my Haynes. Superbike. 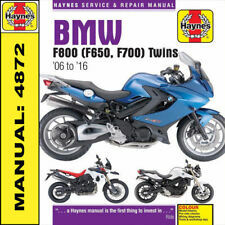 THIS MANUAL COVERS THE BMW SINGLE CYLINDER 650 MODELS NOT THE TWIN CYLINDER MODELS. 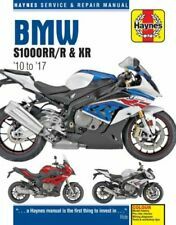 These Manuals are essential reading for any biker tackling his own servicing. 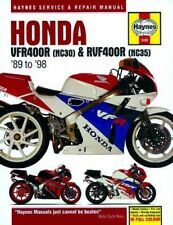 Motor Cycle News.